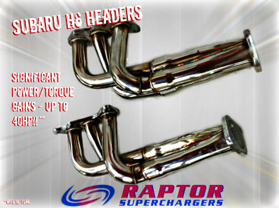 Raptor performance has come forward with an aftermarket header set specially for the Subaru Legacy/Liberty with H6 3.6 engine. 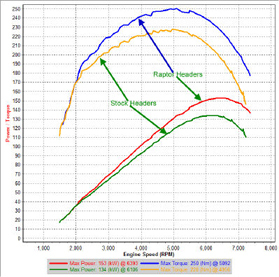 Raptor headers typically offer torque/power increases across the entire engine operating range these headers are the very best on offer for Subaru H6 anywhere in the world. Jig welded and laser cut flanges gaurantee a perfect fit every time. The headers currently offered are offered for all 5GEN Liberty/Legacy cars all with 3.6 engine in RHD and LHD.